Yesterday was another day involving more driving than walking. 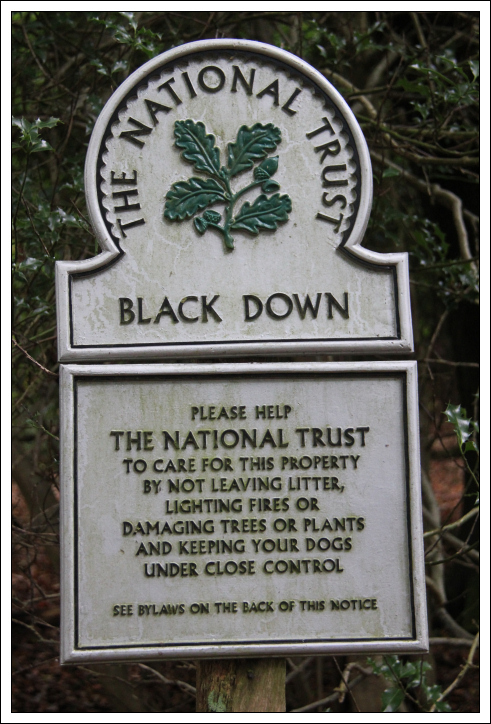 After spending the night in Bognor Regis, I set out for my first hill of the day, Black Down. 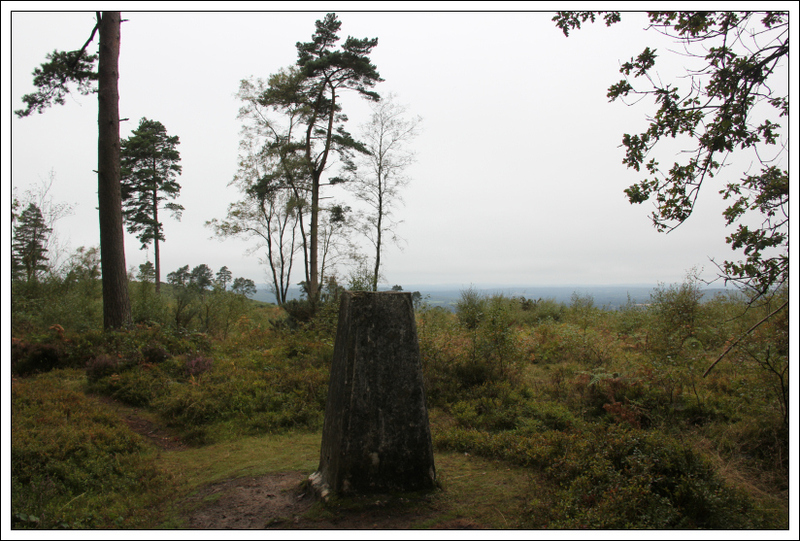 Of the four hills undertaken yesterday, Black Down was the most enjoyable. 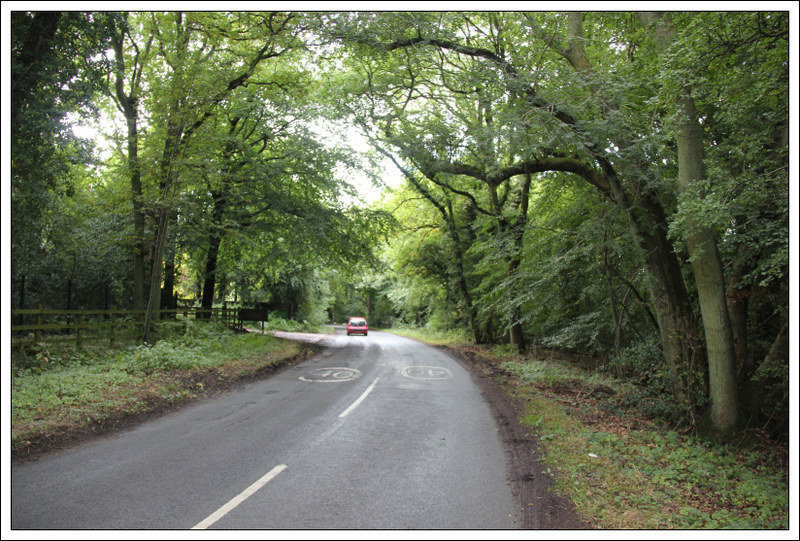 I parked just off the road opposite the Black Down sign in the next photo where there is room for several cars. There are at least a couple of routes up Black Down from this starting point. 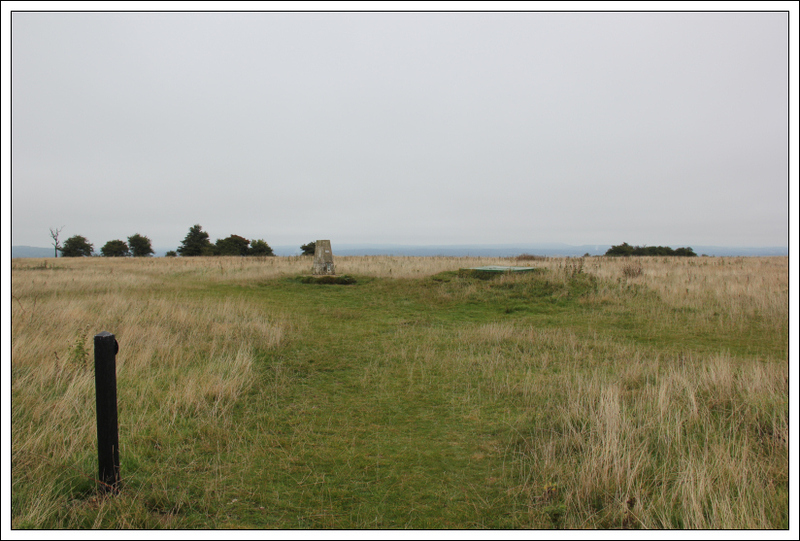 There is a route ascending the hill via the viewpoint which starts immediately behind the Black Down sign and there is a more obvious public bridleway a few metres further East. I opted to take the route via the viewpoint. 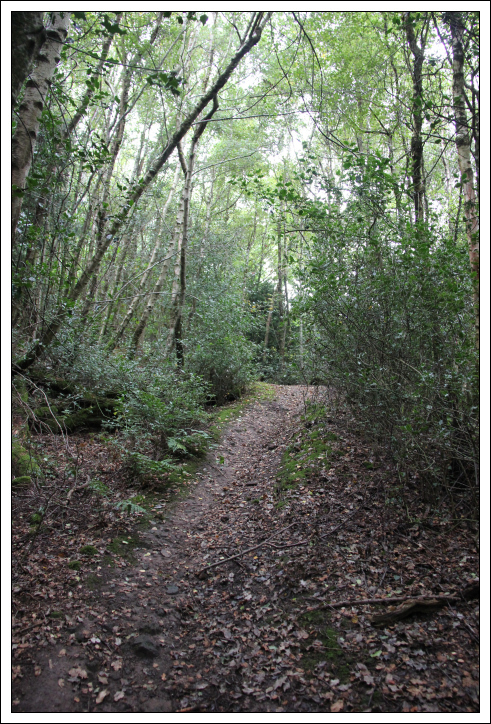 The ascent to the viewpoint was fairly pleasant up through a dark wood. 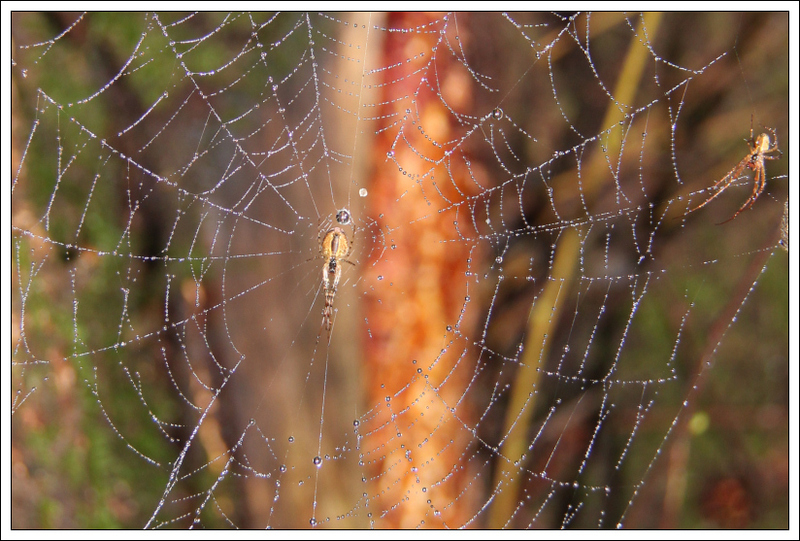 During the ascent I stopped to photograph a dew-covered web. 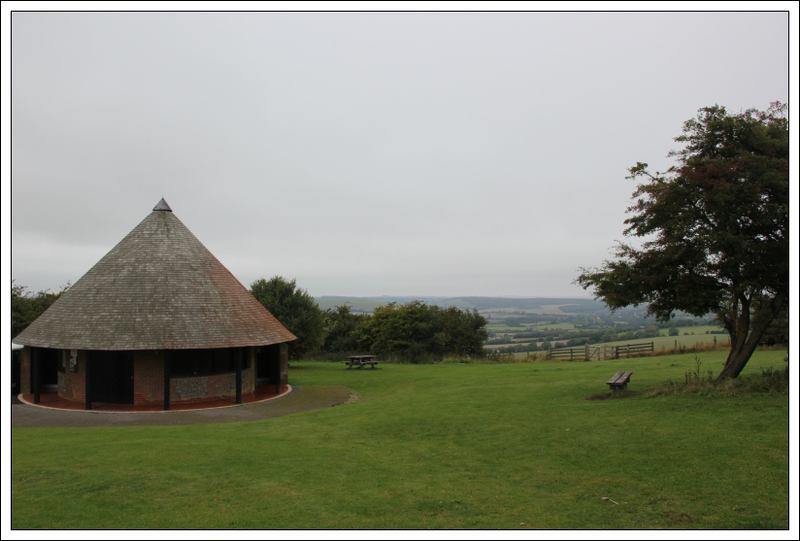 I reached the viewpoint circa 10 minutes after setting off. Beyond the viewpoint there are a number of tracks. My instinct told me which track was the right one but after following it for circa 100 metres I turned back as Viewranger was suggesting I was not on the correct track. I then tried two other tracks which Viewranger also suggested were incorrect. I then returned to follow my original track which was correct after all. I think the accuracy of the GPS was affected by all the surrounding trees and some of the tracks marked on the map are just an approximation. 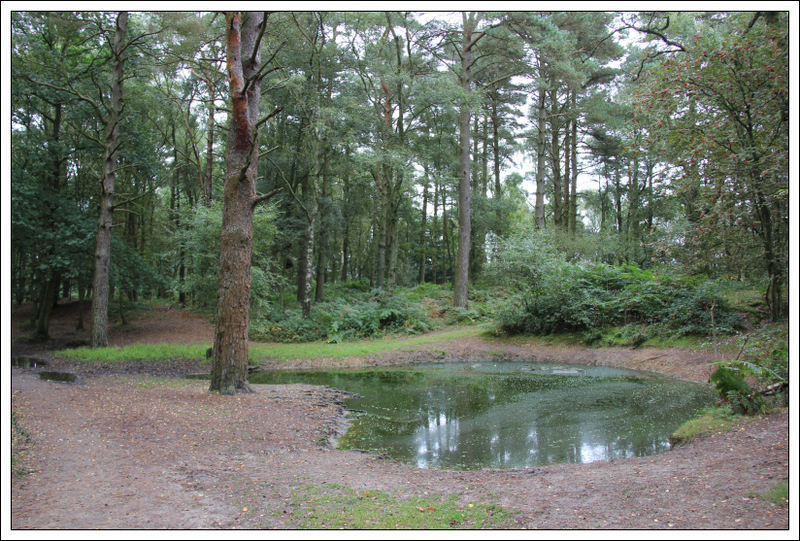 During the walk towards the top of the hill I passed a pool of stagnant water. There were several dragonflies flying around the pool. Once level with the trig point I left the good track and heading up through pathless terrain towards the trig point. Soon thereafter I found a narrow path leading to the trig point. 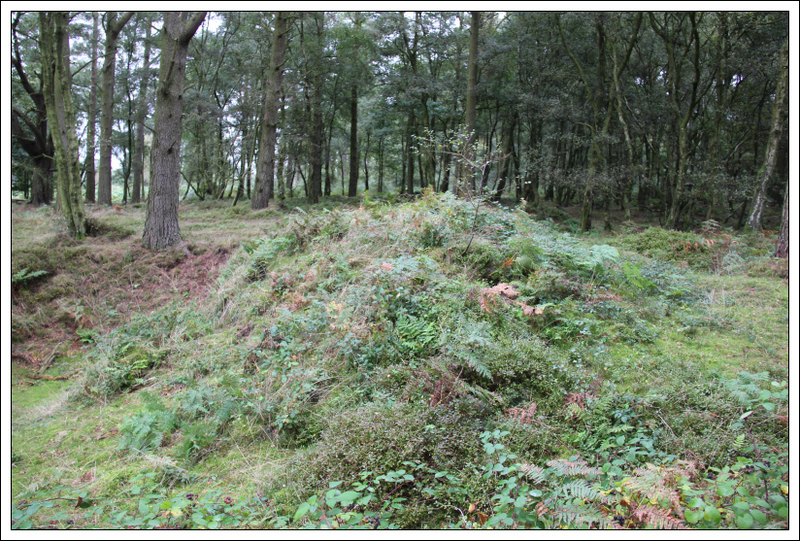 After visiting the trig point I also visited the summit mound a short distance away. I returned to the car via the same route. 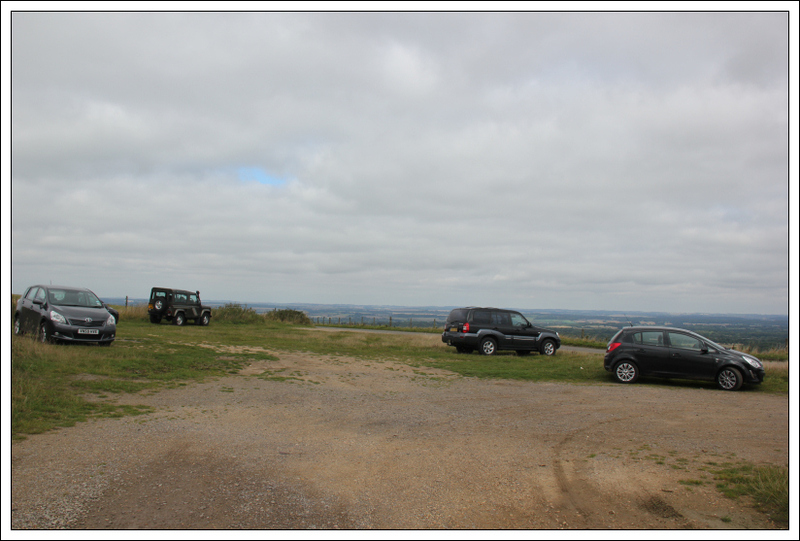 From Black Down, I drove towards Petersfield for an ascent of Buster Hill. I parked in the Butser Hill car park. 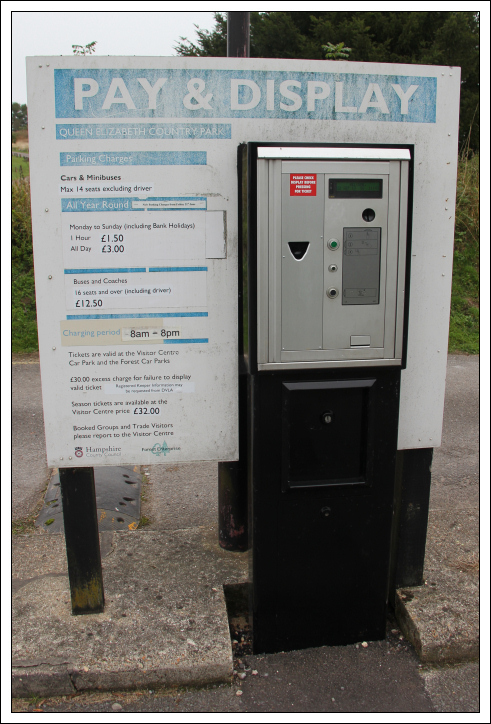 The car park is Pay and Display - £1.50 for an hour or £3 for the day. 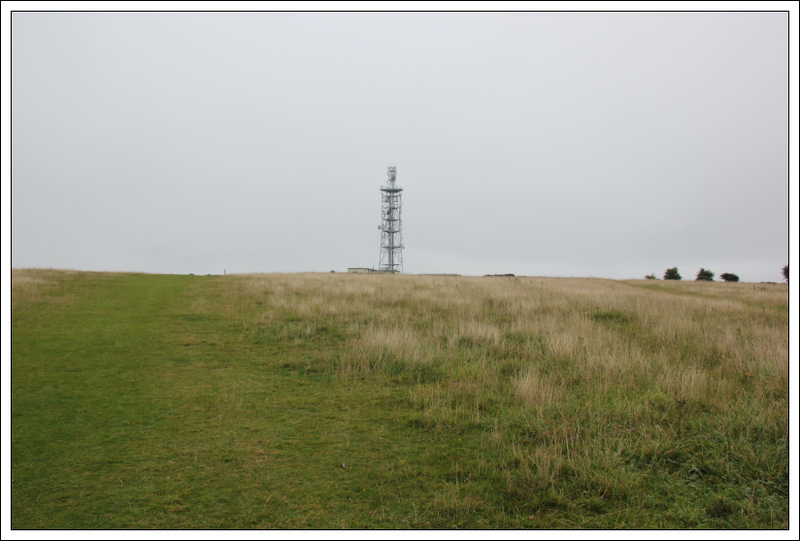 After paying my £1.50, I set off towards the summit of Butser Hill. One hour is more than sufficient for an ascent to the summit and back. The ascent of this hill is very easy. 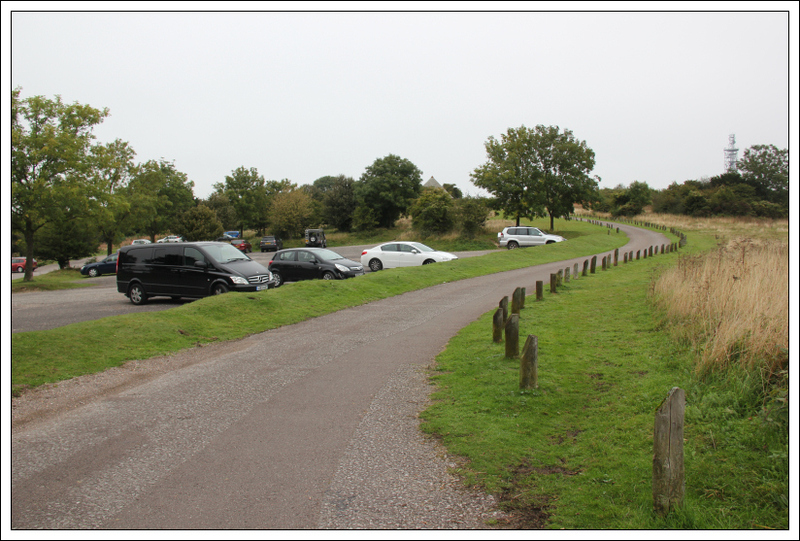 Walk up past the round toilets building and then either take the grass track leading towards the left of the transmitter or the road leading towards the right of the transmitter. I opted to take the grass track during the ascent and return via the road. The views from the summit were somewhat disappointing. The summit area is wide and flat and views are limited. Not worth paying £1.50 to ascend this hill unless you are in desperate need of another Marilyn tick. During the walk back I took a short diversion in an attempt to get some better views by descending a short distance below the wide flat area. Despite not being a great viewpoint, Butser Hill was fairly busy. I’m guessing this is because of its accessibility and the lack of other hills in the area. 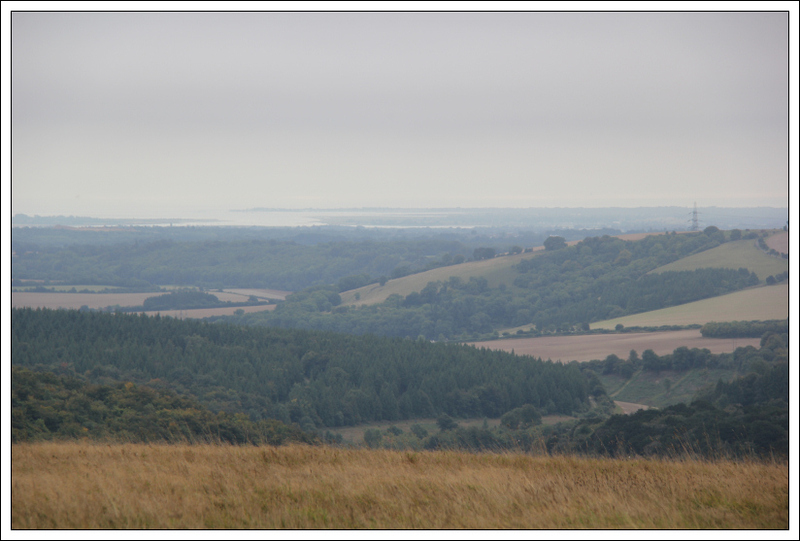 From Butser Hill I next drove towards Newbury for an ascent of Walbury Hill. I parked in the East car park for Walbury Hill. From the car park it is just a case of walking along the Wayfarer’s Walk track until reaching level with a gate with grass track beyond leading towards the summit. 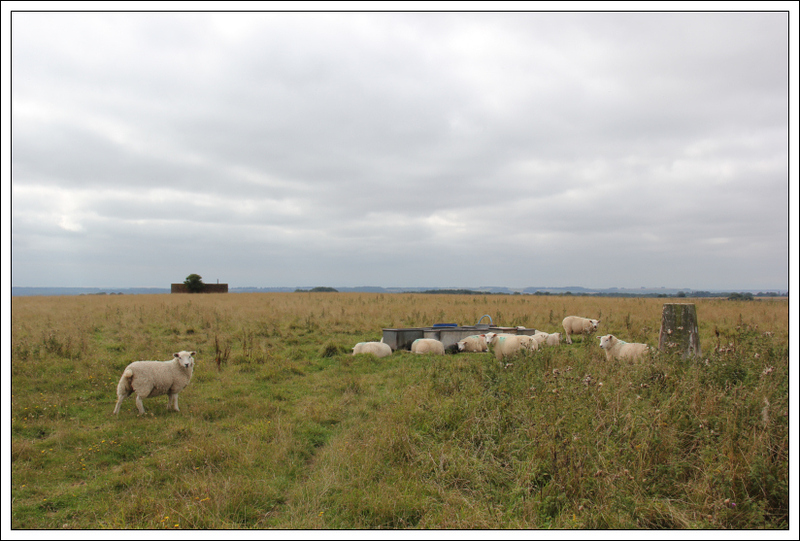 There were a number of sheep relaxing at the summit. Like Butser Hill, this is not the most interesting of viewpoints. 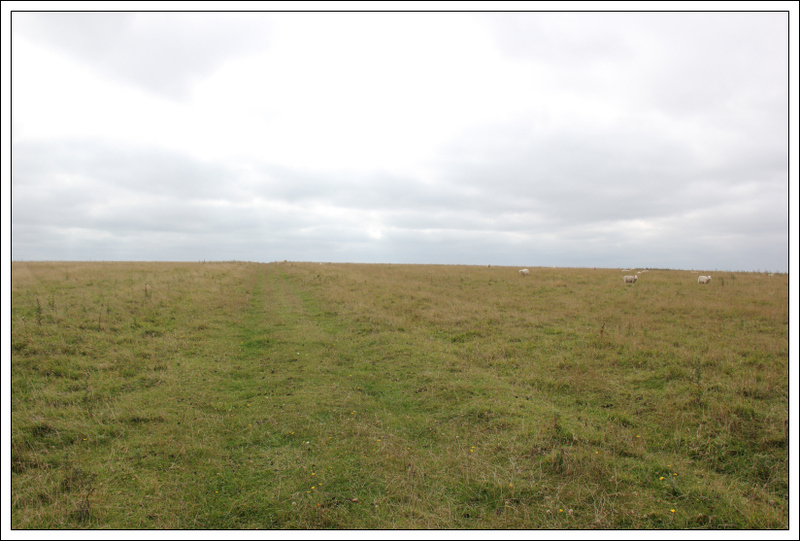 From Wayfarer’s walk you can see a vast flat expanse – not a hillwalker’s paradise. I returned to the car via the same route. On reaching the car I had to decide whether to i) return the hire car to Heathrow or ii) squeeze in one more Marilyn. I opted to squeeze in one more Marilyn. 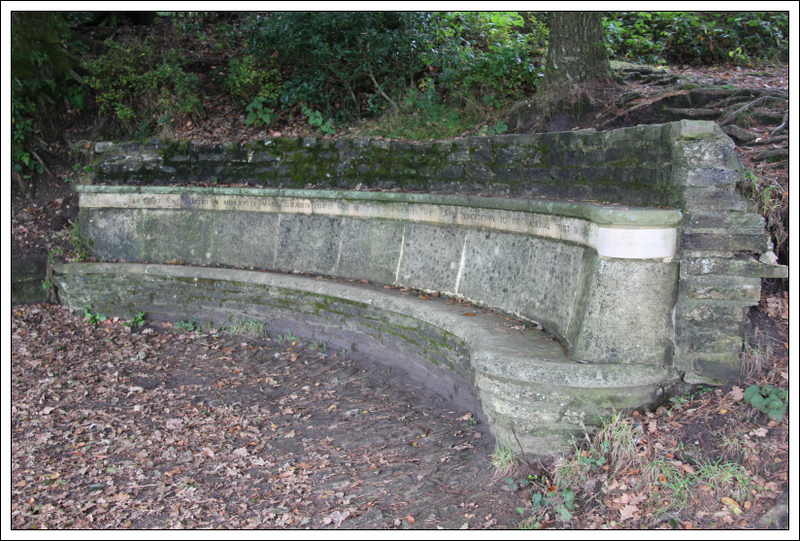 This required a drive of over 60 miles to reach Wendover Woods, North of Hemel Hempstead. The journey from Newbury to Wendover was mostly uneventful until reaching a bizarre road layout/junction where I totally misread the SatNav resulting in an unplanned tour of High Wycombe :lol:. 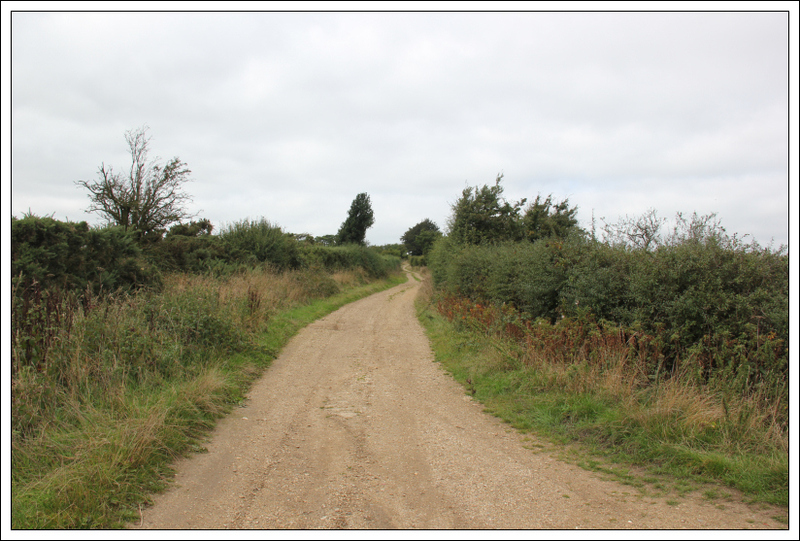 En-route to Walbury Hill, it also tried to get me to drive along a footpath. I hadn’t really planned on ascending Wendover Woods so I was uncertain of where to park. On looking at the map I could see what looked like a car park near the top of the road, so I headed for there. On reaching the road I could find no car park. 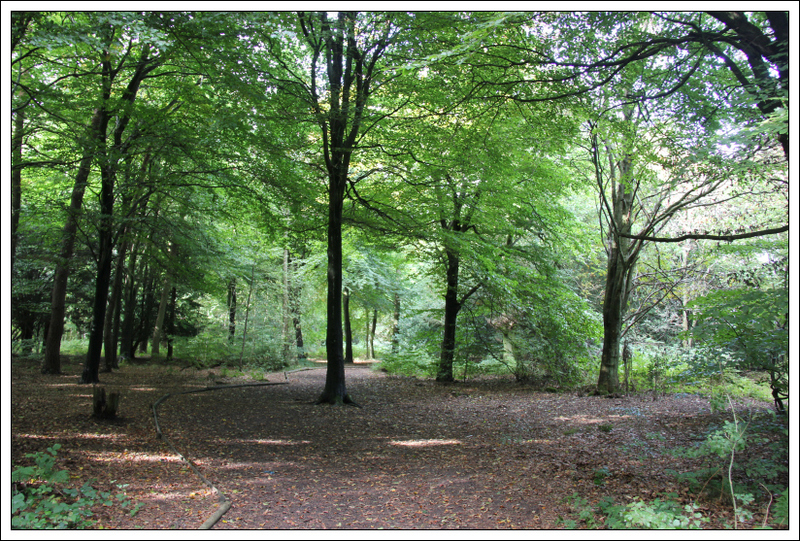 I later found that the car park is located within the woods and is accessed from somewhere further downhill. 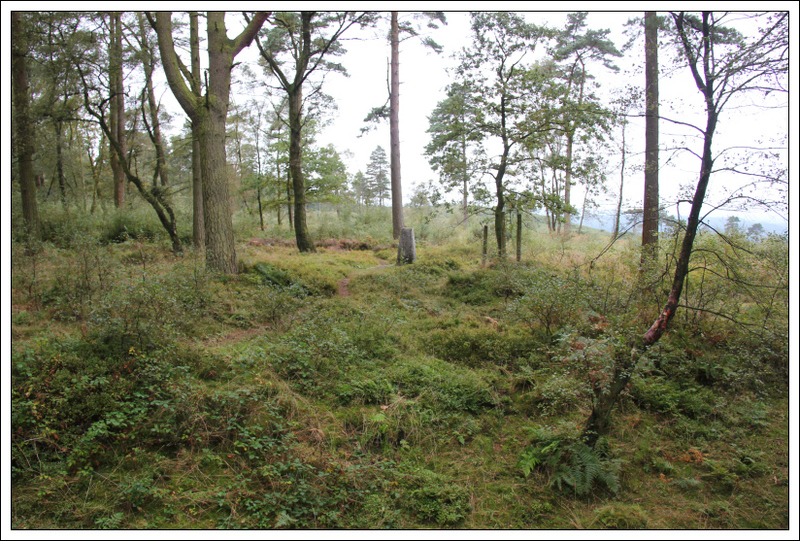 Instead I parked in a lay-by at the road high-point and walked circa 0.5km back downhill to reach the access track leading into Wendover Woods. Opposite the entrance to High Meadow Farm there is a sign indicating that it is a public footpath. 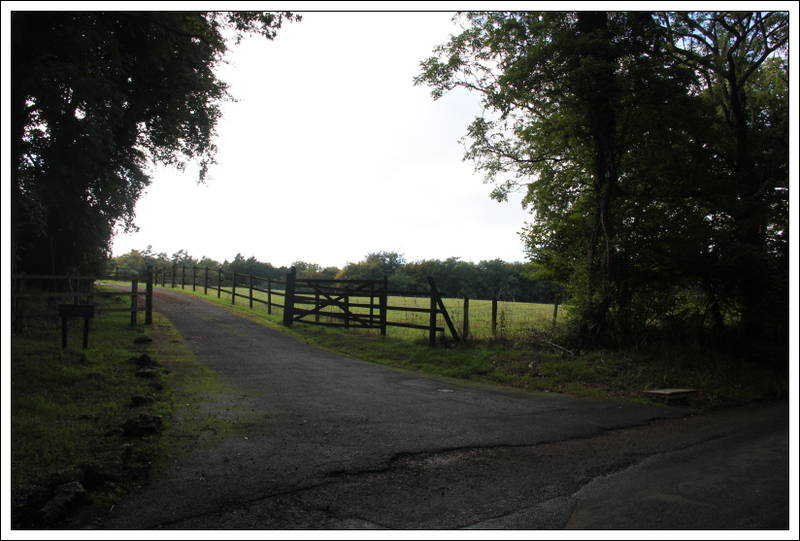 I therefore took the track leading into High Meadow farm. On reaching the farm gates, I was unsure where to go. 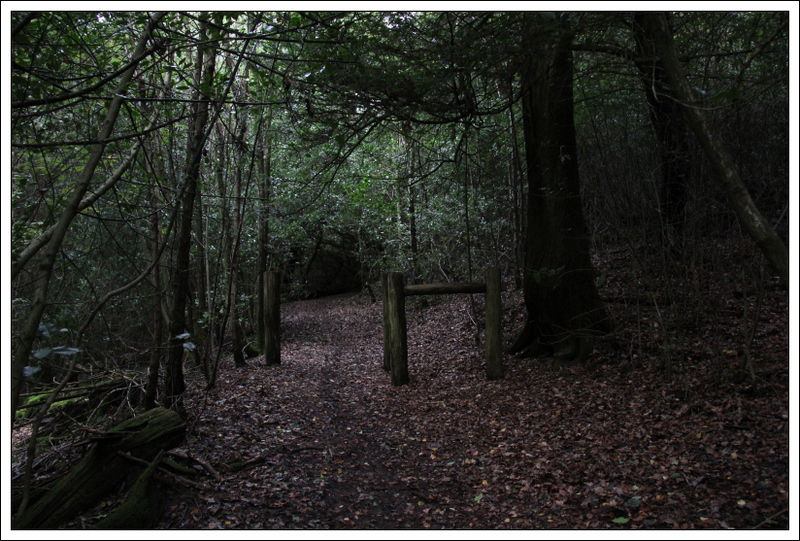 I decided to head through a large metal gate as I could see a track on the other side heading into the woods. 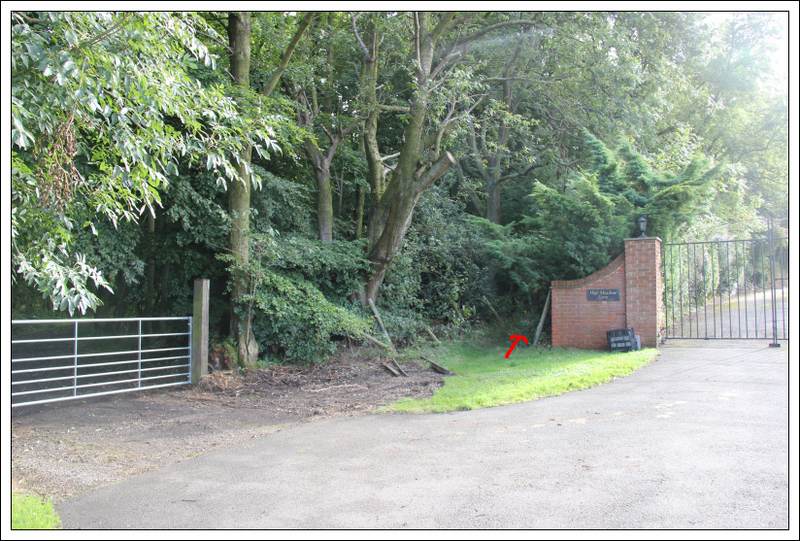 During the return I found that the access track is narrow and located right next to the gates (see arrow). 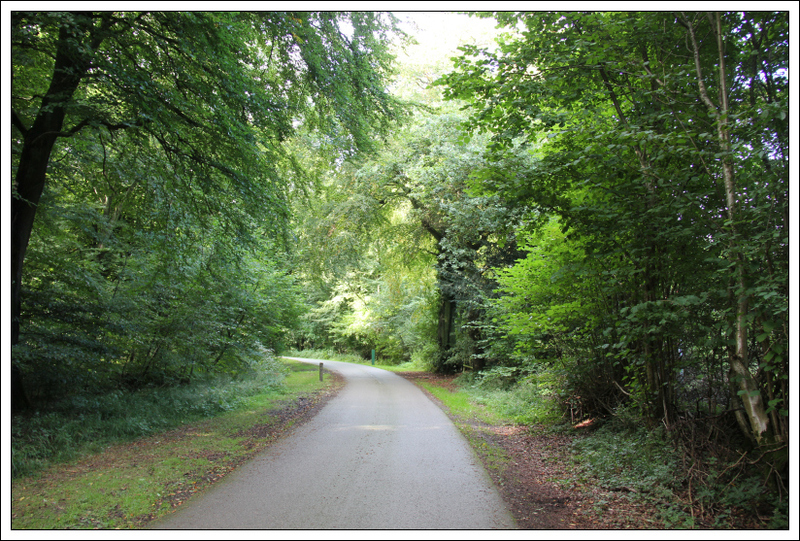 Once inside Wendover Woods I discovered a road leading to a sizeable car park within the woods. If you want to ascend this hill in 5 minutes or less drive into the woods and park near the summit. After walking a short distance along the road I took a footpath leading towards the summit. 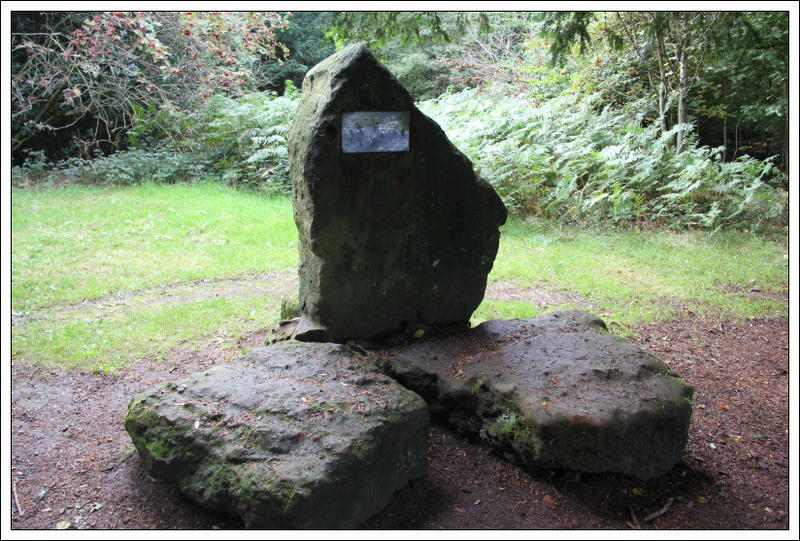 The summit is allegedly the boulder with the plaque on it. This boulder is however artificial and some of the surrounding ground definitely looks higher. After visiting the summit and other surrounding potential high points, I returned to the car via approximately the same route. 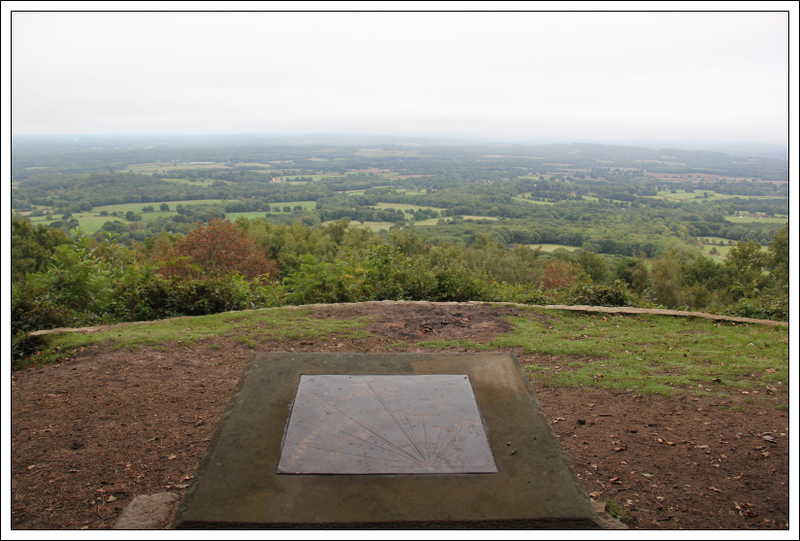 From Wendover Woods, I drove back to Heathrow to return the car and caught the Tube into London. 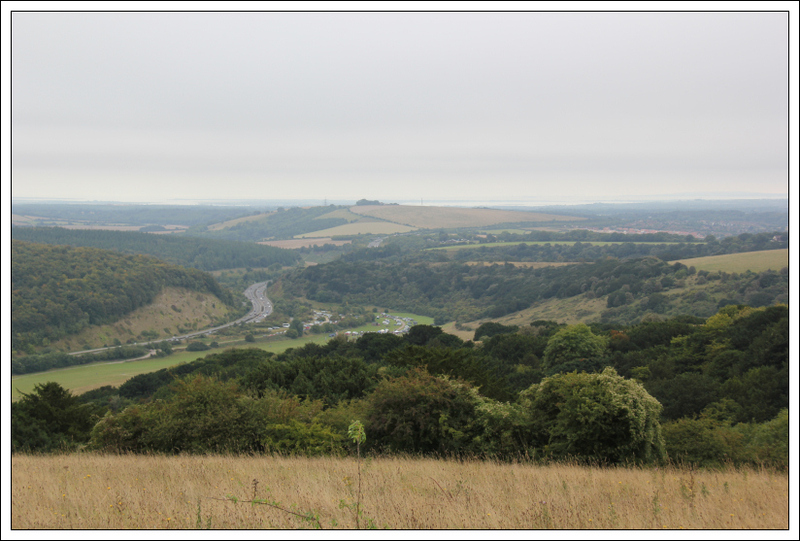 The highlight of this trip was definitely the hills of the South Downs. However, I wouldn't describe any of the hills as "classics". Walking in the South-East of England has definitely made me appreciate Scotland (and the Lakes and Snowdonia) all the more.